So. If you know me, you know that I am a total advocate of moms taking time for themselves regularly, because if mama's gone crazy, well... then, heaven help us all. Or maybe that's just how it is in my house? Either way, I know that I personally need time to myself, and one of my favorite ways to escape the harsh realities of life is to head downstairs, lock myself in the bathroom, turn on the TV, and enjoy a nice warm bath while binge-watching my latest show on Netflix. An essential part of my bath-time routine is throwing a bath bomb into the tub. Now, I love Lush as much as the next girl, but I have to admit that, since becoming a mom, I have a special place in my heart for other moms who bust their butts to help support their families. A lot of those moms sell handmade products to do so, and wouldn't ya know it - bath bombs are one of those things! So when I was asked by a friend to do a review of Bath Sorbet's bath products, I was so excited! 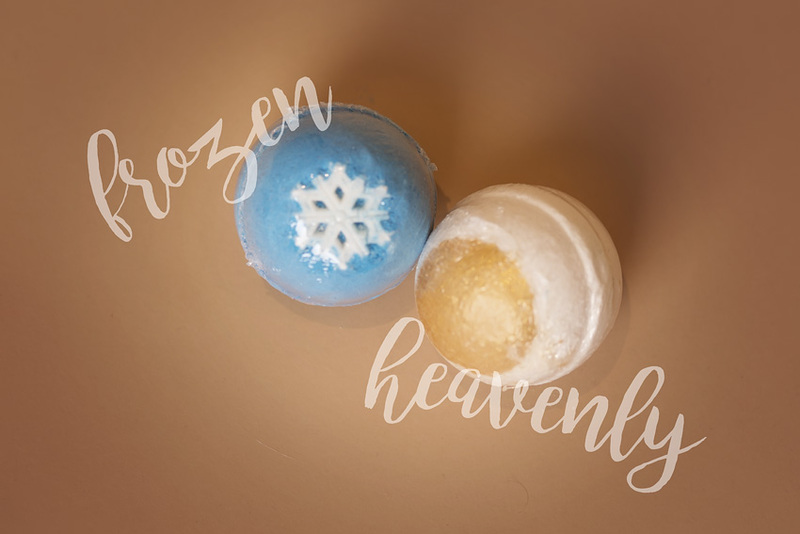 I received my box with two bath bombs (Frozen and Heavenly) and one bath truffle. I was so excited - these things were so pretty! Over the next week and a half, I used each product, and I have to tell you - I loved them!! Now, I know some people might be like, "WTF is so great about a bath bomb? What is a bath bomb? What does a bath bomb do??" Well, let me change your life. HA! First of all, bath bombs are way fun to watch as they fizz and turn your bath water pretty colors, but that's not all they do. Bath bombs are packed with lots of ingredients that are amazing for your skin. Every time I hop out of a bath where I've used a bath bomb, my skin is left feeling soft and silky smooth. 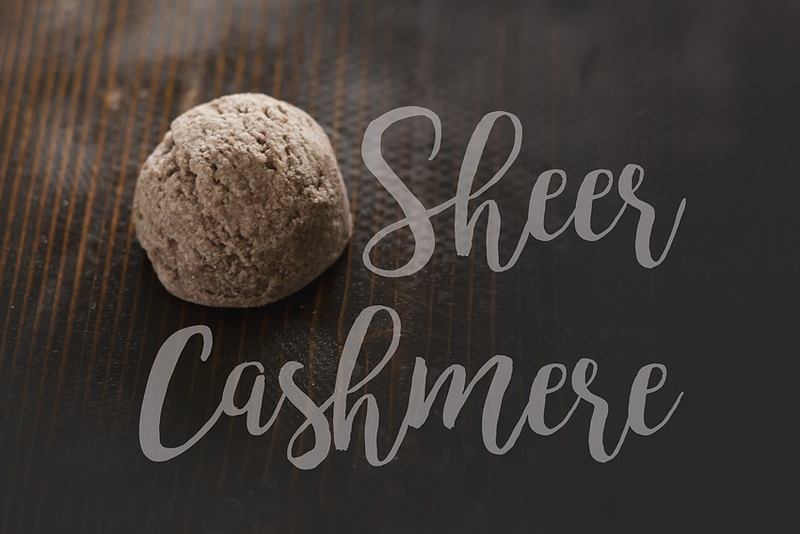 If you love a little shimmer, some of Bath Sorbet's bath bombs even have a little glitter in them, so you'll walk away feeling like a superstar. In addition to leaving your skin ultra moisturized and soft, these puppies make your bathroom smell AH-MAZING. So moral of the story is this - if you need some you time and you have a bathtub, head over to Bath Sorbet and get yourself some bath bombs! If you buy five or more, they are only $4 each, which is an amazing deal. Hello I have been reading all the reviews about Lularoe and I had to pick my jaw up off the floor! My neighbor is my consultant, so I was eager to give the Roe line a try. I fell in love with them at first touch. They were extremely Soft. On my first order I purchased leggings but I Soon wanted More. So I ordered an Irma and a perfect T . I continued to purchase more and more items. I can honestly say after 4 Lindseys , a Randy, 10 Irmas, , 45 plus leggings , Carlys, perfect and classic Ts , Cassies and a Sarah, I have not had a defective product yet! I have a perfect T outfit , 3 leggings and a Sarah for pick up on Friday. I am a total Roe lady because I was tired of buying new clothing as my weight went up and down so much during chemo. If I do get a defective item I know my Consultant will make it right. As you can see I am so impressed by Lularoe and will continue to make my purchases as time goes on. I have met many consultants and people who have become friends as I shop the many sites I have joined. Will I stop buying Roe clothing,not as long as they continue to make Great quality products. iran travel agency by visiting the travel agencies so that you can take care of the concerns Enjoy a journey in a cost-effective way and enjoy your journey. I am in the service of individual tourism or group tours.